To run this application you have to follow a number of steps, the app is currently configured to work with a postgres db. However it could be reconfigured to work with other databases. Initial step: Clone the repository then go to adminScheduler/clean_server/ and run npm install, them go to adminScheduler/scurrent_clean/ and run npm install and lastly go to adminScheduler/clean_server/createUserTable and again run npm install. If you are using this application for a different kind of client/admin relationship, for example a law office or tutoring service you may need to make some simple changes. So if you have a law office you would make some adjustments changing the users with doctor priveledges into lawyers and users with patient priveledges would become clients. Lawyers would now accept or reject appointment requests from clients and clients view the schedules of different lawyers before choosing the lawyer they would like to schedule an appointment with. In essence you would only have to change the names of some popups, buttons, and edit a couple lines of server code to change this application from one set-up for a Doctor's office to one for a law office to any sort of business involving a admin/client relationship. 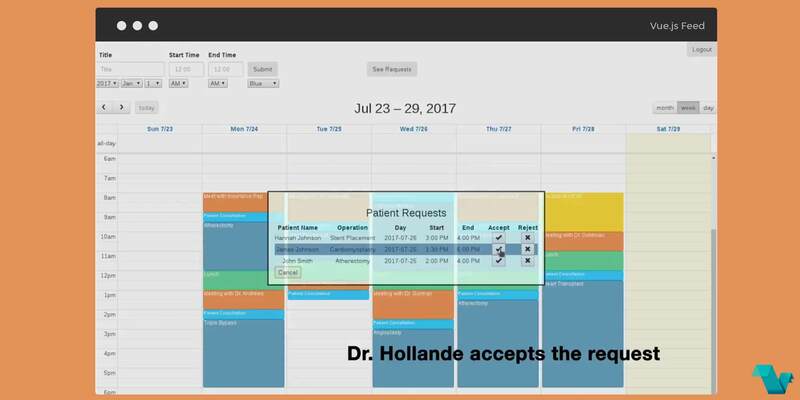 Interested in using adminScheduler in one of your projects? Head to its repository and give it a go.